THPBlog: Crane Mills planning to log out more spotted owl habitat near Thomes Creek. Crane Mills planning to log out more spotted owl habitat near Thomes Creek. THP 2-13-064 TEH (Bull Johnson THP) Crane Mills, 1201 acres; 89% shelterwood, 11% no-harvest logging. McClure Creek, Lower Fish Creek (MD: T24N R9W Sec.2, 3, 4, 9, 11; T25N R9W Sec.27, 33, 34, 35). Winter operations, high erosion hazard, steep slopes up to 65%, unstable areas, road failure sites, 45 road drainage work sites, herbicides, 11 spotted owls within 1.3mi, Konocti manzanita, scattered large trees. Estimated public comment deadline: 10/30/13. This THP is about 18 miles west of Paskenta, CA near Thomes Creek which flows into the Sacramento River. 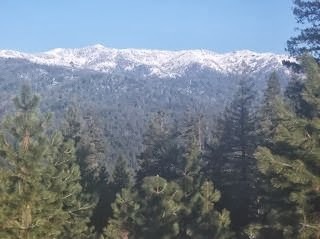 Crane Mills is planning a tractor and cable shelterwood logging operation in ponderosa pine, incense cedar, Douglas fir and sugar pine forests at an elevation of 3,280 to 5,100 feet. They are proposing a modified shelterwood prescription to retain some overstory trees most likely due to the lack of available spotted owl habitat. Several other Crane Mills THPs have been issued recently in the general area so cumulative issues are starting to add up. At this time, 3 areas within this THP are being deferred to avoid incidental take of spotted owls because of a lack of available habitat. 1,100 feet of existing road A19.3, and 600 feet of existing road A19.4 are proposed for use on unstable and slide prone areas. Two landings are also proposed for use adjacent to unstable and slide prone areas in sections 34 and 4. There are 45 road drainage sites planned for work including rocking, dip construction and culvert repair and replacement. More information is available on the THP Tracking Center website.